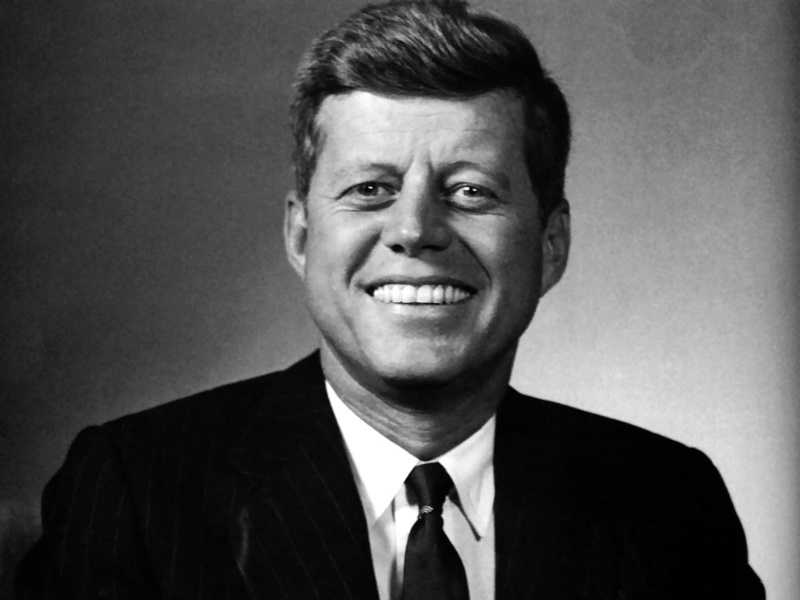 I come from a generation that was not able to see or hear John F. Kennedy in real life. We only have seen him through the television and in black and white. Just think if we had the chance to see this man or even hear him speak in person. The world we live in now does not let us get close to a President like it was in those days and we will never have a chance unless we donate a significant amount of money to the campaign of that candidate. Back then this man was real and he wanted the people to be able to see him, let alone hear his voice. Although at the time of his death, his approval rating was not the greatest, it is widely believed that he would have been elected to a second term because he connected to so many people. He was young, smart and had the looks of a movie star. We have looked for a President like him ever since, and every Democratic Presidential candidate since has had to embrace the Kennedy legacy and know that this is what we are looking for. Someone that had vision into the future and had the best interest of the country at all times. A day like November 22nd, 1963 is one of those days that impacted everyone, much like Pearl Harbor to the generation before and 9/11 to my generation. The world stopped on this day 50 years ago and it seems that we have never been able to move on ever since. The mistrust in government which started on this day has only gotten worse over the years. We still know that there is more to the assassination then what the government has put in the Warren Report and we have not forgiven them for not giving us the answers. All it takes is to look at the pictures of the motorcade in Dallas to know that this President was loved and admired by many people. Even in a state like Texas which the President’s advisors thought would be difficult,had in fact turned out much larger crowds than expected. Images of people smiling and waving at the president show their excitement. We haven’t had that trust and excitement of a President looking towards the future since, and it is something we all want. Let’s us all teach our children to remember days like November 22nd, 1963, December 7th, 1941 and September 11th, 2001 not just on the big anniversary’s that occur every 5 or 10 years but every year that these days come by. Let us tell them how it impacted the history of this country. It is up to us to keep the memory alive of these events. We will never know what the world would be like if Kennedy lived, but we know that it would have been a better place had he did. So this past weekend I was able to finally make it to Dallas, Texas. 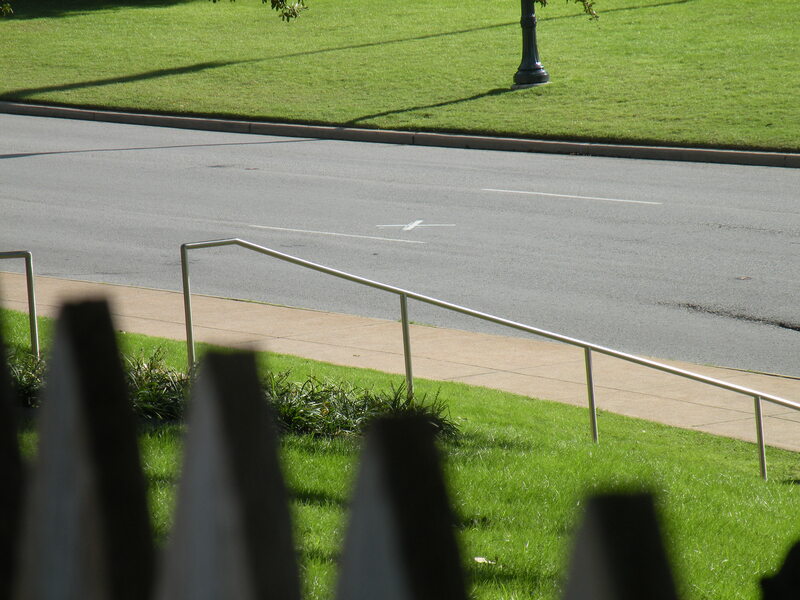 As I was walking around Dealey Plaza it was incredible to realize just how close everyone was to the assassination. When looking at pictures it is hard to visualize it, but when you are there you are taken back in time. The plaza looks just as it did 50 years ago, except that some of the trees have gotten larger. I was able to walk around and inspect the area to see the different angles that the spectators were able to see that day. I did what any typical tourist would do, I walked the grassy knoll, went behind the picket fence and stood on top of the triple underpass. All of these could have been good vantage points for any potential assassin, but the probability that it happened in one of these locations with the people in the area are unlikely. The main spot that I wanted to visit was the snipers nest on the sixth floor. Going into the building makes you think about the aftermath of the shooting and the route Oswald took inside of the building. Although the building has been modernized, there are still elements of what it looked like in 1963. Some of the things that were interesting when I was on the sixth floor, was the fact that I could hear the footsteps of the people in the floor above me. The wood floors make it easy to hear what is going on, and it just so happened that people were moving things around on the seventh floor. This is interesting because on Nov. 22 1963 three workers were on the 5th floor of the depository eating there lunch. They claim to have heard things being moved and the shell casings from the gun hitting the floor. The testimony of Bonnie Ray Williams states that he heard the shots come from the building and that he ran to the other side of the floor thinking they came from there. By being in the building and hearing the things above makes it certain that they could have heard these things. The problem is that there was two other men with Bonnie Ray and the number of shots that they heard differ. The trip to Dallas was something I will never forget, and I know that I will be back at some point. Going into the museum and doing research inside of the Reading Room, makes me want to go back even more. There are so many unanswered questions regarding the death of the President and Dallas is the main source of the many of the answers. As we look more into just who Buell Wesley Frazier was and his involvement in the assassination, it is important to look at some of the facts. These facts include the many different statements that Mr. Frazier has made throughout the years. The story he gave Dallas police on the afternoon of November 22nd, 1963 says that Lee Oswald was waiting outside of Mr. Frazier’s house. In a more recent interview he claims that he went and picked Oswald up from the boarding house Oswald was staying in. Over the years stories change, and this is natural based on not just our fading memory but also what others have lead us to believe what happened. In a April 2013 with Mr. Frazier claims that the Warren Commission kept trying to get him to change his story. But after 49 years since the Warren Commission issued their conclusion, it seems that Mr. Frazier is still changing his story. What we can’t figure out is the whereabouts of Mr. Frazier during the time before and during the assassination. We do know from his statements that he was on the front steps of the depository and that he went back and ate his lunch right after the shots were fired. He may have been the only one that wanted to eat a lunch after seeing the President get his head blown off. This week I begin my quest into what I believe is something that has been getting overlooked for many years. Just who is Buell Wesley Frazier? To many researchers he is the man who brought Lee Harvey Oswald to work the day of the assassination, and claimed that Oswald had brought curtain rods to work that day. 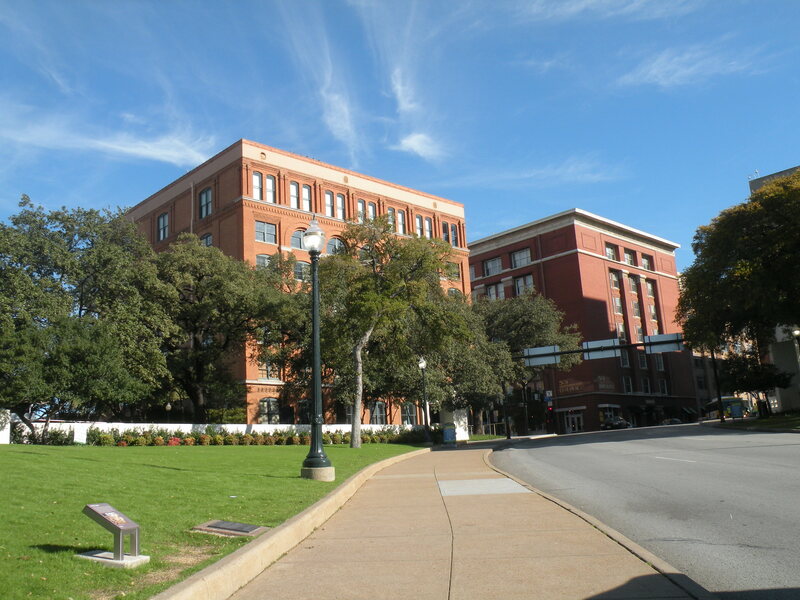 This story of the curtain rods fueled the Warren Commissions theory of just how the rifle was brought into the Texas School Book Depository. But what we don’t know is the relationship between Oswald and Frazier. It was not until recent that Mr. Frazier has appeared and speaking about that day, but his story has changed somewhat. We have seen his story featured in movies like “JFK” and most recent “The Kennedy’s, but yet the story between him and Oswald is something that has not been answered. This week and in the coming weeks I am going to divulge into what I think happened and find out who actually brought the curtain rods into the depository.